Walnuts are the oldest tree food known to man, dating back to 7000 B.C. The Romans called walnuts Juglans regia, “Jupiter’s royal acorn.” Early history indicates that English walnuts came from ancient Persia, where they were reserved for royalty. Thus, the walnut is often known as the “Persian Walnut.” Walnuts were traded along the Silk Road route between Asia and the Middle East. Caravans carried walnuts to far off lands and eventually through sea trade, spreading the popularity of the walnut around the world. English merchant marines transported the product for trade to ports around the world and they became known as “English Walnuts.” England, in fact, never grew walnuts commercially. The outer shell provided a natural protective layer helping to maintain the quality of the nut. Today the nut trade continues to be a well-established, ordered, and structured business, and the California walnut is well known as the top quality walnut for the world. The first commercial plantings began in 1867 when Joseph Sexton, an orchardist and nurseryman in the Santa Barbara County town of Goleta, planted English walnuts. For several years, walnuts were predominantly planted in the southern areas of California, accounting for 65% of all bearing acreage. Some 70 years after Sexton’s first planting, the center of California walnut production moved northward to the Central Valley area in one of the most dramatic horticultural moves in history. Better growing areas, improved irrigation, and better pest control methods in the north resulted in greater yields, which gradually increased each year. Today, the Central Valley of California is the state’s prime walnut growing region. Its mild climate and deep fertile soils provide ideal growing conditions for the California walnut. California walnuts account for 99 percent of the commercial US supply and two-thirds of world trade. In a bowl, add chicken, mayo, walnuts, seasoned salt and pepper. Mix well. Spoon chicken salad on bread or a bed of lettuce. Enjoy! You took that picture just so I could imagine picking it up and eating it. YUM! Love chicken salad! Thanks for sharing this great recipe with us. After reading your post, I feel like eating a chicken sandwich too for my lunch. This looks very yummy. 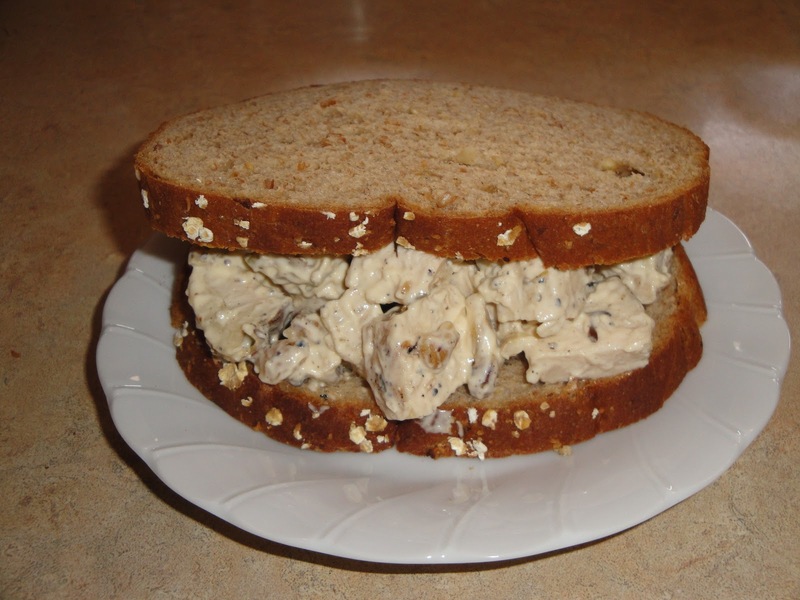 I love a good chicken salad sandwich and yours looks great, Christine! I like that you didn't have to use a ton of mayo! 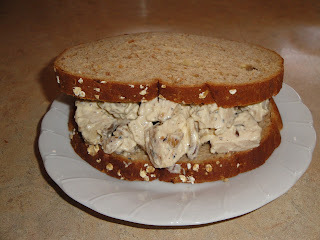 Delicious chicken sandwich and I try to eat 1/4 cup of nuts every day...and walnuts are the best for you! Last year at our local farmers market, a farmer sold walnuts. I hope they return this year so I can try them in your recipe. Those big chunks of chicken look pretty tasty! My doctor said eat more nuts like walnuts and almonds-so here is the perfect recipe to do just that- Great post. wish to have this for my lunch now. i always put walnuts in my chicken salad with craisins, too. Your sandwich looks so yummy. I've never put walnuts into my chicken salad, but it sounds like such a wonderful idea! Delicious, like the walnut addition! Interesting! We take it for granted to have walnuts around but it's fun to read about its history. Thank you for researching and sharing with us. Your chicken salad sandwich looks delicious!! I hope y'all had a great Labor Day. Thank you so much for your kind comments. You and your comments mean a lot to me. Now I have a craving for walnuts! Looks delicious! I'm going to have to try this! That chicken salad sounds great. The nuts in it is what makes so good. My mother always put pecans in chicken and tuna salad. An interesting twist on chicken salad! I will have to try walnuts the next time I make it.